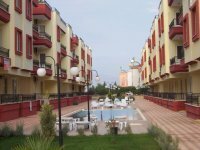 Welcome to our selection of holiday homes to rent in Turkey. Turkey spans the continents of Europe and Asia and boasts some 8,000km of coastline. Whether you are fond of art, history, archeology, nature or if your idea of bliss is a relaxing beach or sailing holiday, there really is something for everybody in Turkey. The Aegean coast is arguably the most beautiful coastline in the world. The bays and peninsulas, coves and golden beaches that stretch the length of these beautiful shores. To find your holiday home to rent in Turkey please scroll down the locations where we have villas and apartments to rent in Turkey. Below is a selection of holiday homes in Turkey that can be rented direct from their owners. You can either click on each listing for further details or you can use our search engine on the left if you are looking for something in particular. Here you can find useful links for tourist attractions and services in Turkey including links to the Blue Mosque, the Hagia Sophia, Mt Nemrut and more.